I am 37 weeks pregnant currently and I’m finally done with my bedrest, yey! My doctor already gave me a go signal to start walking because my baby’s still shy to say hello to the world! During the check-up, I was 2cm dilated, 50% effaced and baby’s still floating, she’s still at station -3 (refer here for the definition of terms). Walking will really help so we decided to head directly to SM City Cebu. Hungry as we were, I told hubby Fred that I want to eat in another buffet restaurant that is not very expensive. 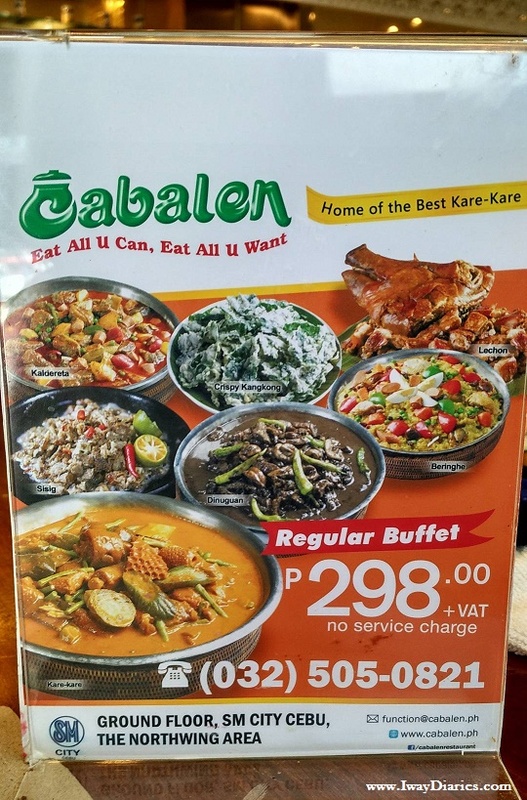 I was craving for pork lechon as well so we chose Cabalen Restaurant. 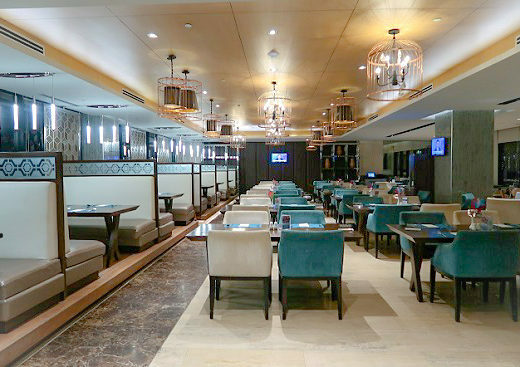 It’s an Eat-all-you-Can, Eat-all-you-Want Restaurant serving different Filipino specialties, including lechon. Before taking photos of their dishes, I asked permission from one of the waiters and he clearly said yes. However, it seemed not all of them were informed properly about the rules of the restaurant as another waiter approached me and said that taking photos is not allowed, booh for that! 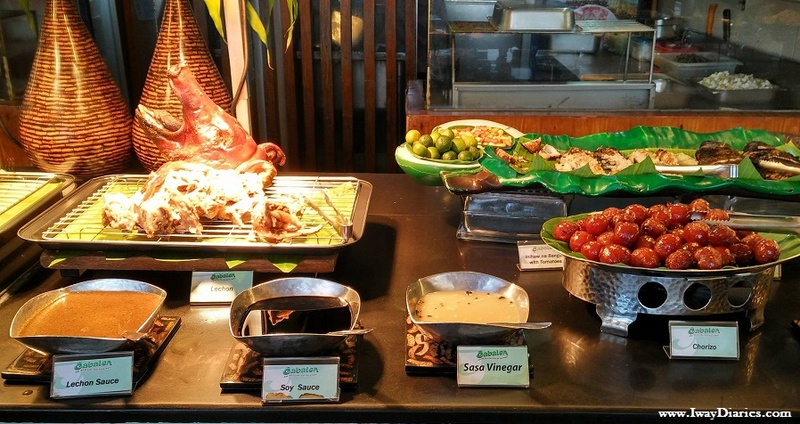 As a result, I was only able to take one photo below, that’s their lechon by the way. They have quite a number of Filipino dishes but I chose to eat only these: pork lechon, adobong manok, dinuguan, bam-i , veggie salad and bulalo soup. I have nothing bad to say about the food, all are delicious. I didn’t try their other dishes though especially their kare-kare. Not that I don’t like it, it’s just that I’m still having that ‘choosy’ attitude of a pregnant woman and I don’t want to end up paying additional fees for leftover. 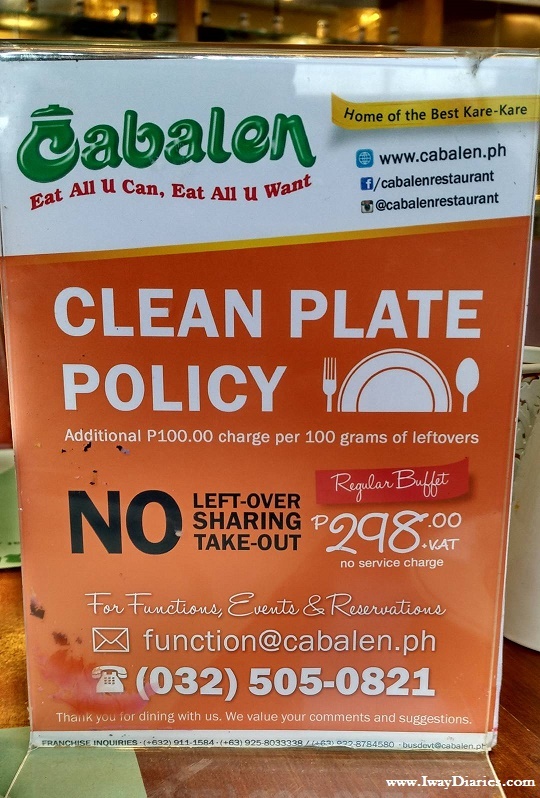 Yes, Cabalen has Clean Plate Policy. If only Fred’s not very serious with his weight loss diet, I will surely try each of the food specialties. I wouldn’t worry if I don’t like the taste because he’s always there to eat my leftover, haha! Look at him, he finished sooner than I expected. 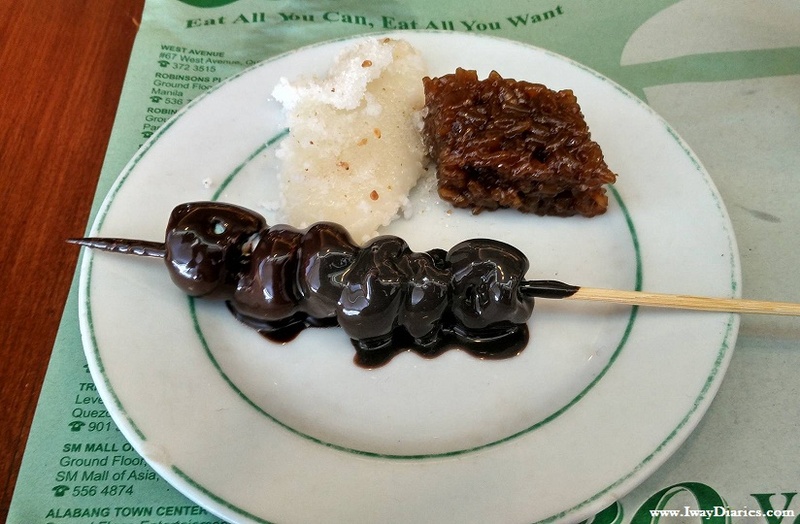 As for the desserts, I chose their biko, palitaw and their marshmallows which you can dip in their chocolate fountain. Believe me, I could have eaten more because I love the taste especially their biko, but I’m just too full for a second batch. 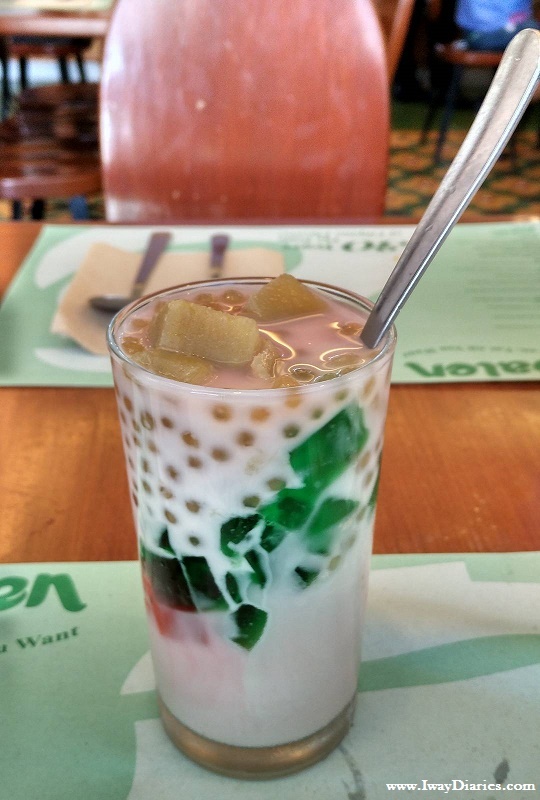 They also have ‘Make-your-own’ Halo-halo which I tried. I prepared mine with too many ice so it wasn’t that sweet. Good thing Fred finished it for me. 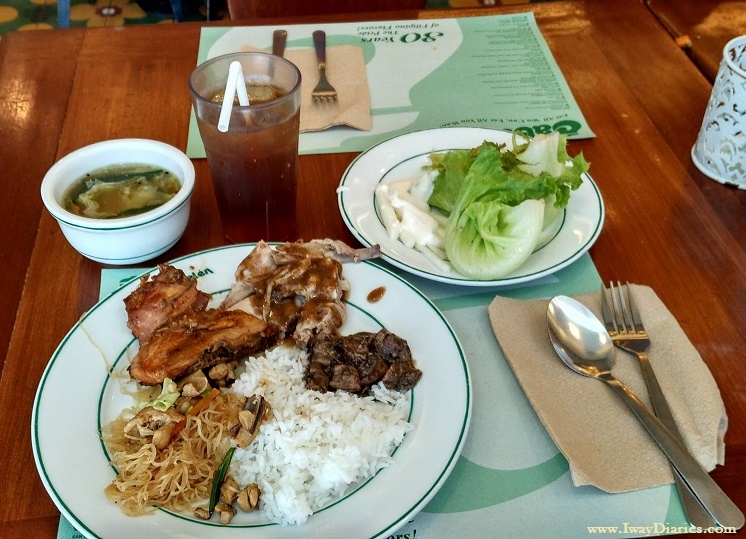 All-in-all, for the price of P298 per head, one can be satisfied because of the delicious taste and number of food choices. 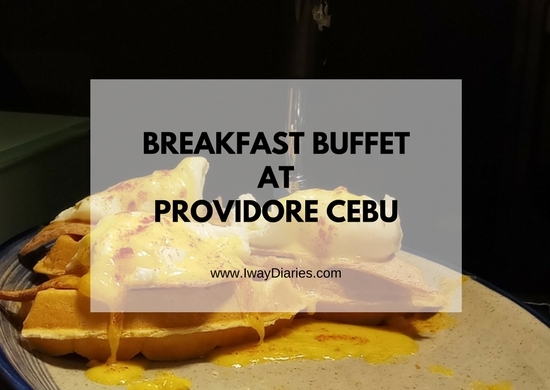 Take note though that drinks such as their bottomless lemon iced tea is not included in the buffet price (you need to pay an additional Php70 for it). 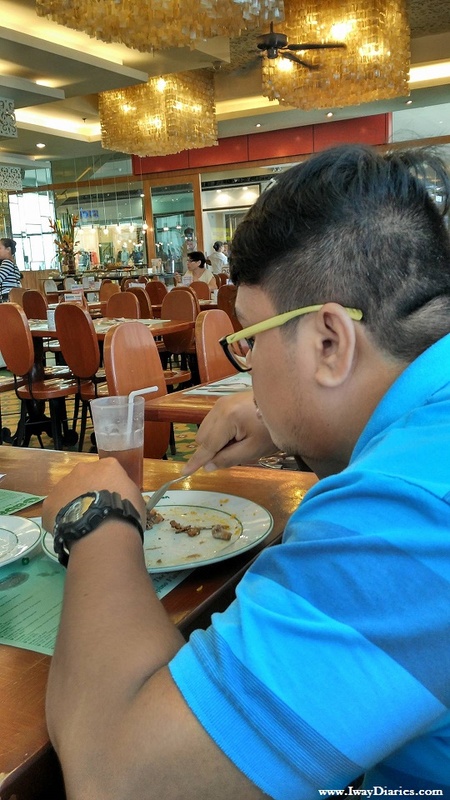 I don’t usually share bad comments about the place we’re trying or visiting but for Cabalen in SM Cebu City, I was really disappointed when one of the waiters did not allow me to take photos of the food. Anyway, they probably have valid reason for that and I respect it. Also, during that time, one of their aircons was not functioning well so Fred and I were sweating a bit while eating. I think in other tables, the temperature was OK because other guests didn’t seem to bother. 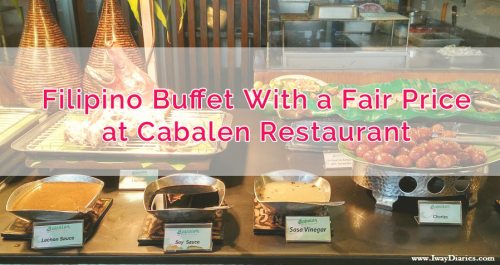 After years of being in business and with too many competitors these days, many people still choose to eat at Cabalen and that’s because of their fair-priced buffet. 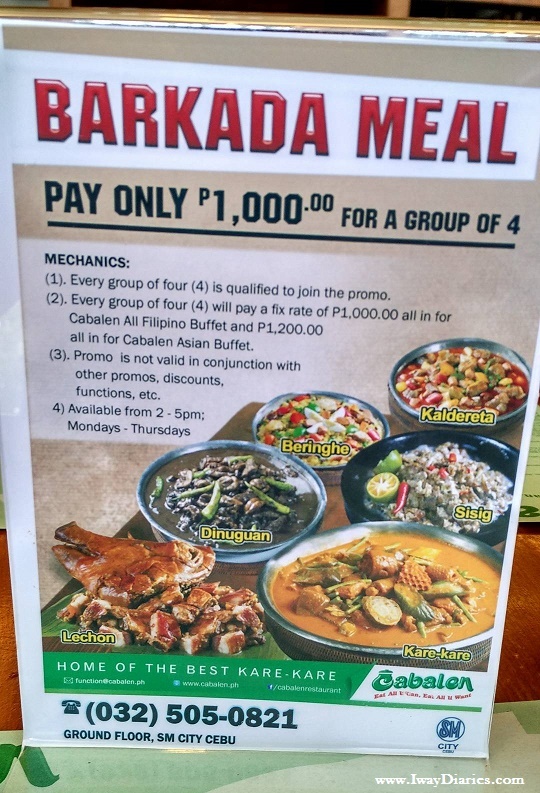 They also have a Barkada meal promo which is suitable for those groups who are in for late lunch or those who want to eat heavy snacks. 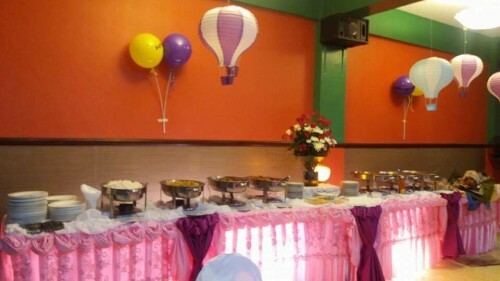 By the way, Cabalen also offers special packages for events and occasions. I even tried considering this place before when I was planning for Louise’s baptism but it’s quite far from the church we chose. For contact details and list of branches, see image below. You may also visit their official website at http://www.cabalen.ph/. Hi Searren, they based children’s payment on height, not by age. 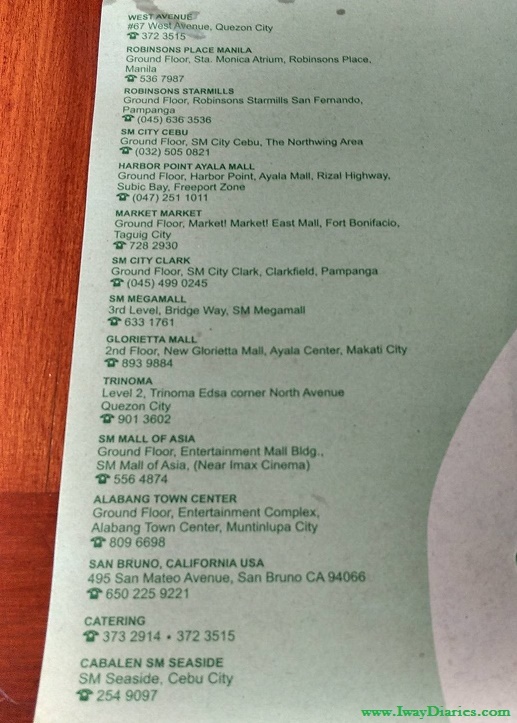 Better call them na lang to make sure of their updated prices and conditions. hi!!!!! im planning to have my baby 1st bithday @CABALEN DO U HAVE ANY PROMOTIONS???? 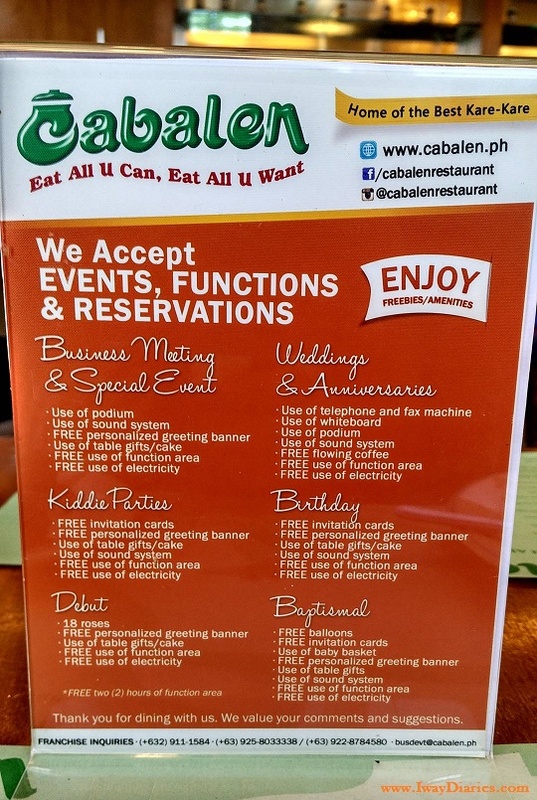 Hello, It would be best to contact Cabalen po, we’ve provided their website on the page where you can get more details about their promotions, etc. Thanks for visiting! 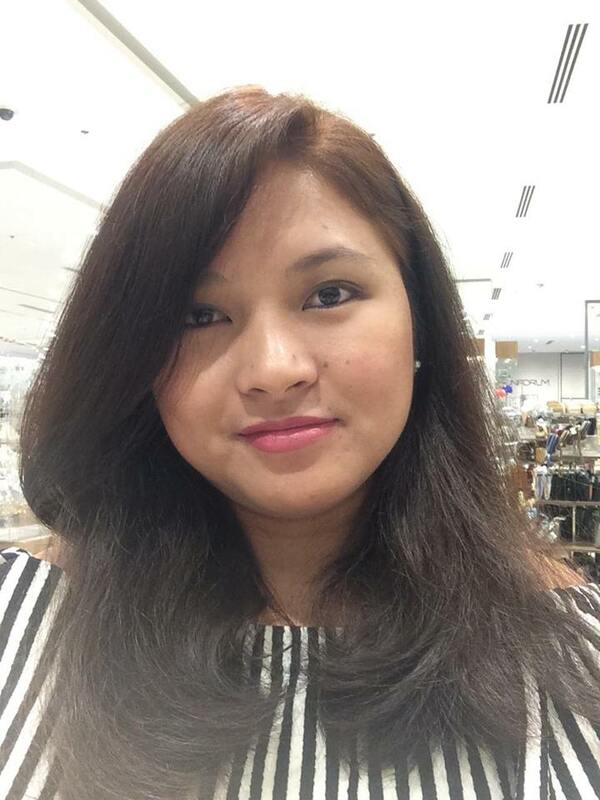 Hi Clariz, thank you for visiting our site. With your question, it would be best to ask directly Cabalen about it. You can also try their new branch at SM Seaside if you live near Mambaling.